A Hit and Run Accident is the criminal act of striking a pedestrian, motorist, cyclist, other vehicle, or structure then fleeing the scene of the accident. In an accident, a driver has the legal and ethical duty of stopping to provide the other parties with their licence information. You also have the responsibility in assisting anyone who was injured during the incident with a minimum of contacting an ambulance. It is also required that the police be contacted in a situation where any party was injured. 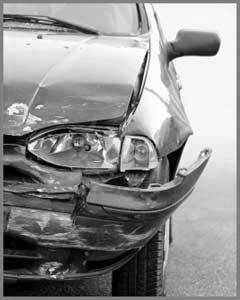 Failure to remain at the scene of an accident may result in criminal charges if found guilty. Whether the incident involved a fender bender or head-on collision, you are required to remain at the scene until you have exchanged details with the other party. If no one was injured, the incident can be reported to a Ministry of Transportation Accident Reporting Centre within 10 days. Failure to do so may find you to automatically be found guilty of the incident and charged likewise. Where only property damage exists during the accident and no one is present, it is also your duty to leave a note at the scene as to how you may be reached. Otherwise, you may again find yourself in hot water with a fleeing charge, fines, and escalated insurance rates. Remember that there are cameras all over cities and on cell phones, so it is never a good idea to just leave the scene. Section 252 of the Criminal Code of Canada creates the offence of failure to stop at the scene of an accident, and requires proof that the accused was involved in an accident with another person, vehicle, vessel or aircraft ,and that the accused failed to stop his or her motor vehicle to provide his or her name and address and to provide assistance where there is an injury. There is an automatic license suspension under the Highway Traffic Act that results from being found guilty of this offence, as well as a criminal record and increased insurance rates (of 50% or more) for at least three years. There is usually also a driving prohibition under the Criminal Code that is imposed by the judge that runs concurrently with the suspension under the Highway Traffic Act. Stephen Hebscher and Bruce Karten have had a great deal of success in fighting this criminal charge. In most instances, they have been successful in reducing the criminal charge to one under the Highway Traffic Act, thus preventing their client from having a criminal record. If you have been charged and would like one of our lawyers to take a look at your case, please click here to call us today for a free case evaluation. If alcohol is later found to have been a factor in the incident, and the accused fled the scene to avoid detection for an offence such as impaired driving causing bodily harm, or impaired driving causing death, the sentence would be more severe than if the accused fled the scene simply because he or she panicked. Of course, the manner of driving that led to the accident is always a factor on sentence, and if the accused’s impairment contributed to the cause of the accident, this would be an aggravating factor that would increase the punishment. In a hit and run, it is not uncommon for the accused persons convicted of fail to remain at the scene of an accident to go to jail for more than two (2) years if there was a fatality. If alcohol was a factor, the sentence would be substantially higher. Having said that, the background of the accused, and whether he or she has a prior criminal record, is also a factor on sentence. Experienced Criminal Defence Lawyers will ensure that the client’s background is fully explored through psychological assessments. If you have recently been charged with a hit and run offence, you will need an experienced criminal lawyer right away. Hit & run is a far more serious charge than a normal traffic violation and will be aggressively prosecuted in court. It is not advisable to attempt to defend yourself in court in this situation. An incident of hit and run does not need to ruin your life. If you’ve been recently charged with leaving the scene of an accident in Toronto, call to speak confidentially to one of our hit & run lawyers about how we can help defend your rights and seek the best possible outcome and help you get your life back to normal again. See what our other clients are saying about us. We can help you too!